A piece of my mind. : Who would live in a house like this? Just an average man in his apartment searching for the cleanest fork in the drawer. While he was inspecting each fork, his every move was being watched by the hundreds of people who pass through the Paris Metro. 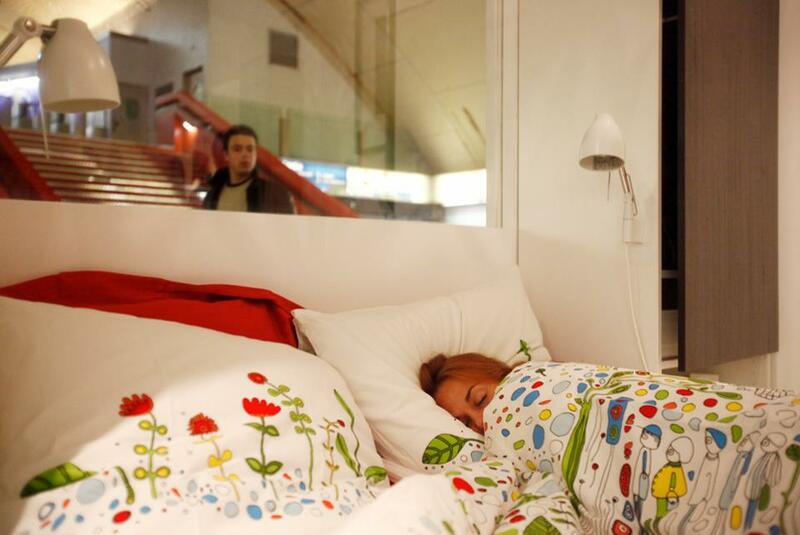 This was all part of an intriguing installation by Ikea France. 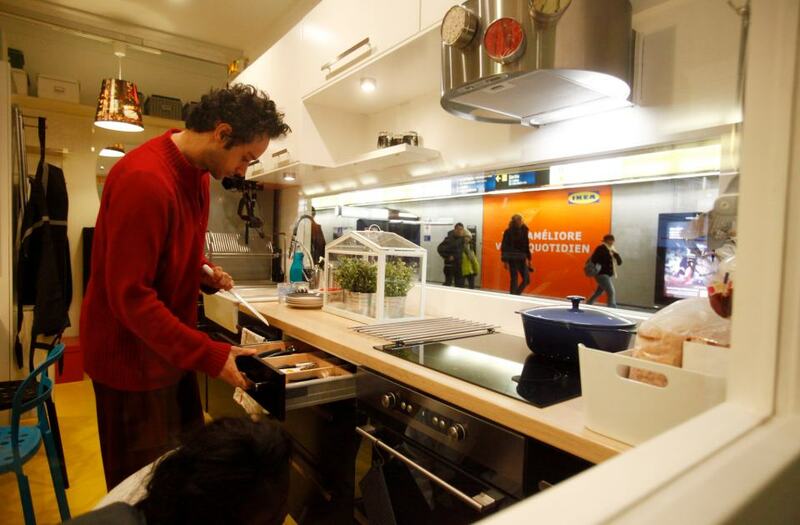 The idea was to build an apartment inside a Paris Metro Station to communicate how Ikea furniture can transform small spaces into homes. 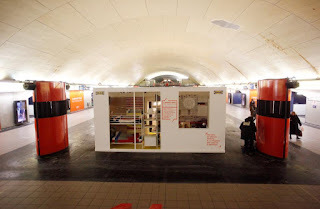 The best bit; the apartment came complete with real tenants who blogged about their Metro Station lives on Facebook. Those on their way to catch a Metro could have a peak-in and see what everyone's up to; is Benjamin still lounging on the stylish sofa and playing with his guitar? What sort of cake is Lucie baking in that slick oven? We admire how this installation communicates the message of "home in a small space" in such a simple but interesting way. It also cleverly plays with our human desire to know what other people are doing in their lives. 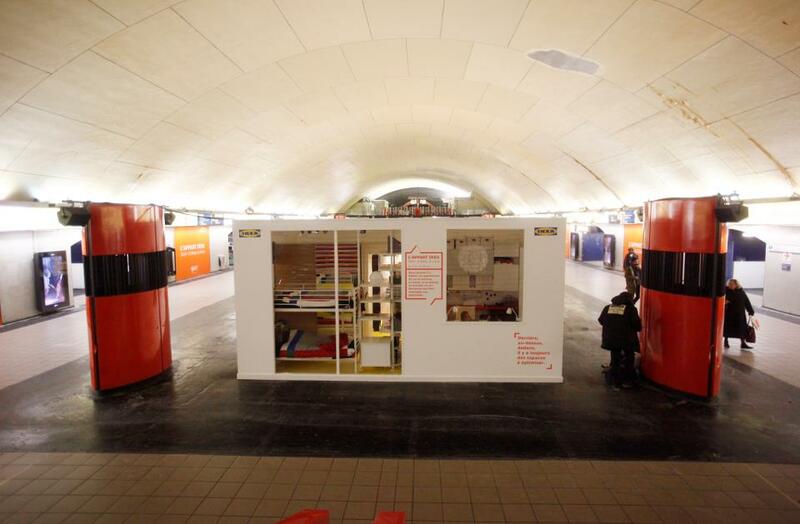 Who would love to have our offices in Piccadilly Underground for a day? We can observe human behaviour all day... while everyone observes us back and spots who's the fastest typist, who's the best tea maker and who's the 'crazy one' of our lovely bunch.